Elor Azaria made an error in judgement, there is no doubt about it, but the judges failed to see before their eyes a young soldier who was sent on a difficult mission in an impossible reality. 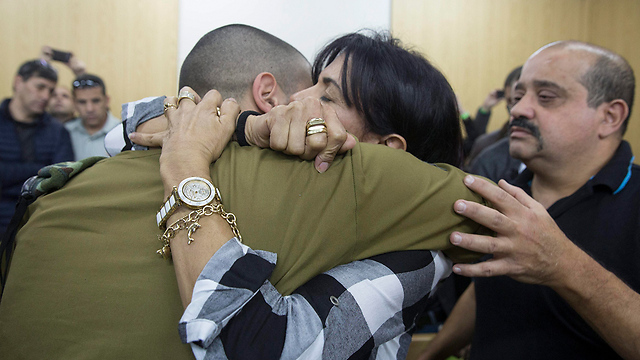 Not a single word of compassion was heard from the panel of judges at the military court in Tel Aviv towards IDF soldier Elor Azaria or towards his family throughout the entire reading of the verdict. If they had even the slightest sensitivity, they would not have stood there and read the ruling for two and a half hours, without providing the bottom line at the very beginning: Guilty. Reading 309 clauses of the ruling while keeping the soldier in terrible suspense symbolizes the court’s humiliating attitude. The judges did not see before their eyes a young soldier who was sent on a difficult mission in an impossible reality. They did not see a shocked soldier attending to his wounded friend, who was in a state of deep fear several minutes earlier. How could this panel express any solidarity or empathy, if most of its members never experienced a combat situation? And that is the essence of the injustice: Retroactively judging—inside a protected and air-conditioned courtroom—something that happened in a chaotic reality, while turning their backs on a person who was sent to the battlefield to defend us all. More at yNet.